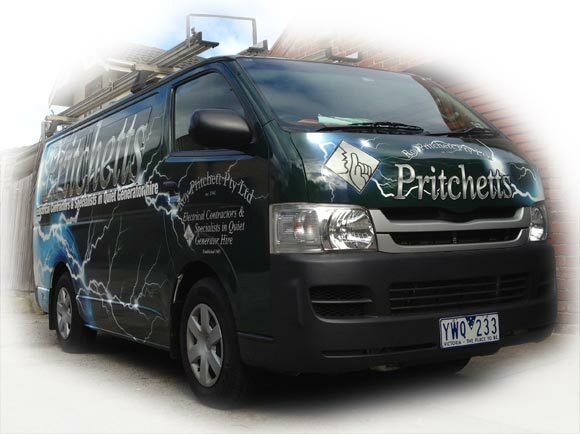 Roy Pritchett is the specialist for all your generator hire, emergency power and electrical contractor needs in Melbourne and surrounds. We even supply Australia-wide for long-term needs. Why choose Roy Pritchett for your generator hire and emergency power needs? Tired of loud generators? Our Greenhush generators are the quietest on the market and much quieter than silenced, soundpoofed or super quiet generators. With over 28 years experience in helping clients with their generator hire and emergency power needs, we can deliver the best solutions for your specific requirements. Splitters, adapters, cable ramps, protectors, etc. Our governed units will ensure the protection of your computers and other specialty equipment. Why choose Roy Pritchett for your electrical contracting needs? We can look after all your electrical and commercial needs, including installation, repairs and maintenance. Above all, our clients receive superior customer service that exceeds expectations. That’s why our clients continue to use and recommend Roy Pritchett for generator hire, emergency power and electrical contractor needs.